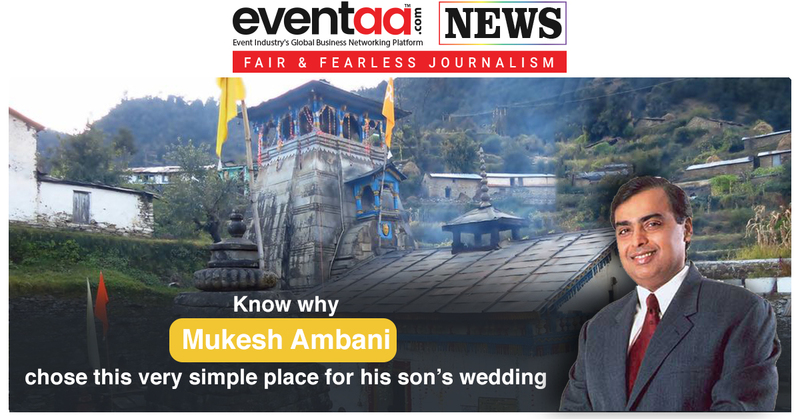 If the reports are to be believed, then business tycoon Mukesh Ambani is going to get his son Akash and daughter-in-law Shloka Mehta’s wedding in the famous temple named Triyuginarayan (in the Triyuginarayan village in Rudraprayag district) located in Uttarakhand. These days where the big celebrities of the country are visiting overseas for their destination wedding, this ace businessman has chosen this religious place for his son's marriage. The temple is one of the 108 DivyaDesams dedicated to Vishnu, who is worshipped as Badrinath—holy shrines for Vaishnavites which is also one of the most visited pilgrimage centres of India. It is believed that Lord Shiva and Parvati were married in this temple and those who marry here are considered very fortunate. Recently, Mukesh Ambani had reached Badrinath Temple with his son Akash and daughter-in-law Shloka. He has been visiting Badrinath-Kedarnath for the past four decades and is also religiously donates large sums of money to the temple Committee. Before one and a half year, the world's debutant actress Kavita Kaushik who is known for her portrayal of ChandramukhiChautala on SAB TV sitcom F.I.R. also got married in the Triyuginarayan temple. At the same time, they also celebrated their marriage anniversary by offering a banquet to the villagers. Is Triyuginarayan temple a right place to get hitched? Let us know in the comment box below!